This book right here is my most anticipated read for 2014. 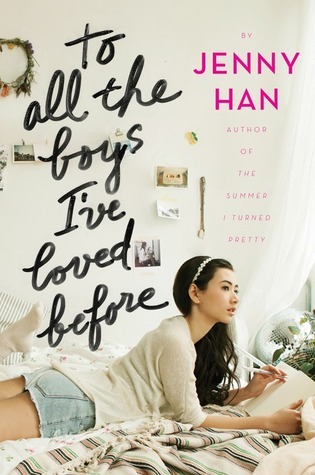 Jenny Han is among my favorite YA contemporary authors. Her Summer series captured my heart and years later I am still recommending it to every one I know. I have such high hopes for this story! I have a feeling it will be another popular recommendation from me... and soon to be favorite as well. Eeep! Is it 2014 yet?! I didn't like the summer series but her books always look so good! Maybe I should give this one a try. I just got me Burn for Burn, and am excited to dive into it. Sounds soo... conflicted, I don't know. And this sounds very sweet! I'll keep it in mind! Bring it on! Cannot wait! This sounds really good! I can't wait! I really loved the Summer series. I haven't read Burn for Burn or any of those but I really want to read this book. It's definitely on my TBR list. Thanks for sharing!